It's time to start the seeds. Low overnight temps of 14 degrees are expected in our neck of the woods this week. temperature. Right now, mostly just day lengths. And moving the little sprouts in and out of the weather so they get all the rain and sun available, but are protected from cold. Usually, I recommend starting the seeds a couple weeks before the last frost. Chances of bringing the seeds in every time it gets cold and never making a mistake and leaving them out, well, it takes borderline OCD to get it right. But this year I am recommending January, because this year I am recommending lettuce and shallots! If we are talking bang for the buck, lettuce can't be beat. It grows SO quickly, all the sides leaves can be cut every week, sometimes twice a week and it grows right back from just the little center. There were a few weeks this fall that we were eating salad with every meal, even breakfast, and still had enough to make 2 catering trays of mixed greens for my husband's pot luck at work. How that came to an end will have to wait for tomorrow. 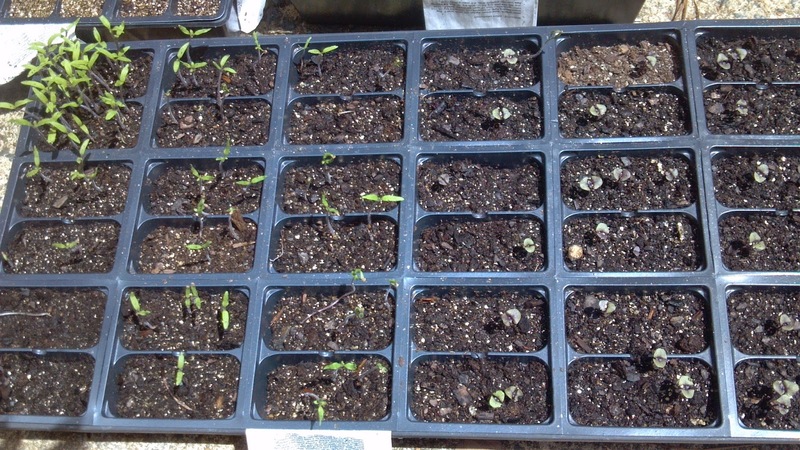 Everybody makes mistakes AND SO: don't start the tomatoes until 2-3 weeks before the frost date. But start the lettuce, broccoli, shallots, onions, leeks, tatsoi, mizuna, Brussels, kale, and cabbage in trays now. Start the spinach, kale, tatsoi, collards and carrots outside now. Plant the spinach the day before freezing temps. Plant the others when it will not freeze for a few days and then cover them for any freezes in their first 2-3 weeks. This plan should fill your kitchen with healthy, tasty greens until the tomatoes and cucumbers are ready in a few months. Really, you will have more greens than you can eat.